This postcard shows the main building at the center of the University of Texas at Austin campus in Downtown Austin, Texas on September 16, 2010. I was traveling from Dallas, Texas to Las Vegas, Nevada that day on my Jetblue All-You-Can-Jet (AYCJ) pass. However, since JetBlue did not have flights to or from Dallas, I took a bus to Austin in the morning for an afternoon flight to Long Beach, California, then onto Las Vegas. I had a few hours around noon, so I took a quick tour at University of Texas at Austin, and had lunch in a Thai restaurant near the campus. The Main Building is known as "The Tower" since it has a 94 m or 307 ft tall clock tower, designed by architect Paul Philippe Cret and completed in 1937. 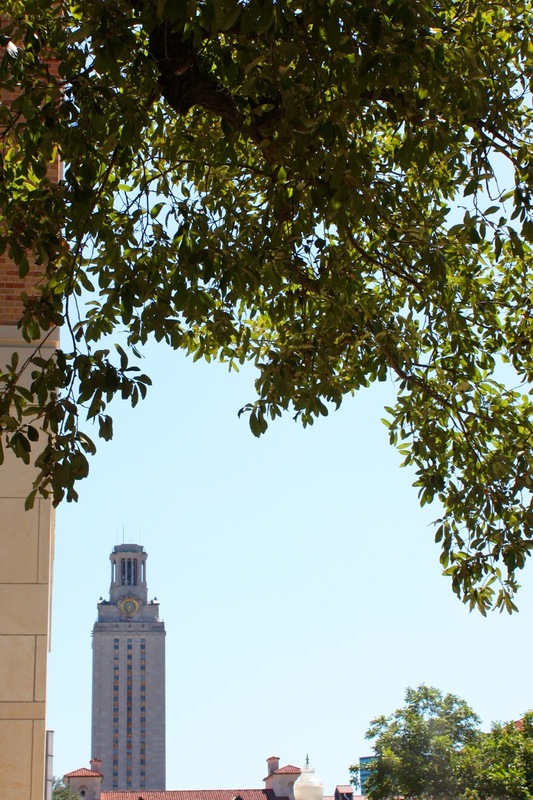 It is the most recognizable landmark of the University and the city Austin. In a massacre on August 1, 1966, architectural engineering student Charles Joseph Whitman, opened fire from the observation deck of the tower of the Main Building, killing 16 Austin residents and wounding many more. He was shot to death by police at the end of 96-minute stand-off.